In Central Asia, cities have traditionally had parks and tree-lined streets to provide shade and attract pedestrians. Recently, however, pedestrian space has been sacrificed for more roads to accommodate the increase in private vehicles. Further, with cities prioritizing cars more and more, sidewalks have become a zone of conflict between pedestrians and cyclists, who often lack bike lanes. This is the present situation in Almaty, former capital of Kazakhstan, which is home to 1.5 million residents. In terms of transport-related emissions, the city ranks first within the country, and is plagued by an increasing number of traffic crashes. Moreover, the city lacks substantial cycling infrastructure. To address these problems, the UN Development Programme is leading a “City of Almaty Sustainable Transport” (CAST) project to reduce transport-related emissions. The project is helping to implement some cycling paths and works to promote sustainable transport. However, without widespread public support and a shift in the priorities of the city administration, these changes are unlikely to succeed. One way to garner support for these reforms and engage both public and local leaders is the “open streets” festival, which is demonstrating the role of grassroots organizing for creating citywide change. On October 11, 2015, the city hosted its first open streets celebration, which removed cars from the city’s central streets and allowed residents to gather for dancing, cycling and sports. While the idea seems simple, the open streets festival was the result of dedication and effort by organizers. The idea originated from a group of cyclist enthusiasts, who had experienced ciclovías in Bogota, where roads are regularly closed to cars for cyclists and pedestrians. Preparation for the event took over a month and involved active participation from a variety of local stakeholders. The CAST project began by conducting an online survey, pitched the idea in a city forum, and involved independent designers, sports studios, bike shops and hundreds of local youth. Social networks were also used to engage and inform the public, serving as a platform to test new forms of public communication and gather feedback. Then, in late August, the project was presented to the mayor’s office, which agreed to provide police support to divert traffic and ensure security. 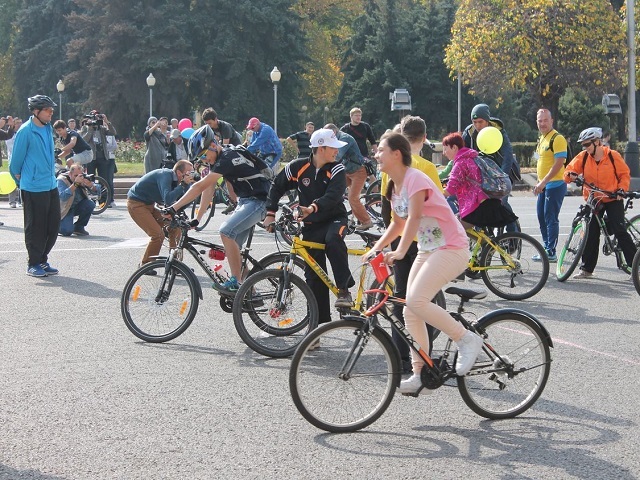 As a result of these efforts, citizens had nearly half of a day to enjoy Almaty’s city center free of cars. Indeed, 2.5 kilometers of city-center streets were made available only to pedestrians and cyclists, dancers and athletes. While recreational in nature, the open streets festival also served as an opportunity to raise awareness on sustainable transport and road safety. For example, later in the morning families were able to attend a performance of the “Road Safety Theatre.” The performance discussed issues of road safety, demonstrated the advantage of cycling as a transport mode, and gave the citizens a new perspective on the surrounding streets. The Cycling School was also a powerful educational tool. Experienced cyclists shared their knowledge with beginners about traffic rules and first aid through short lectures and demonstrations. 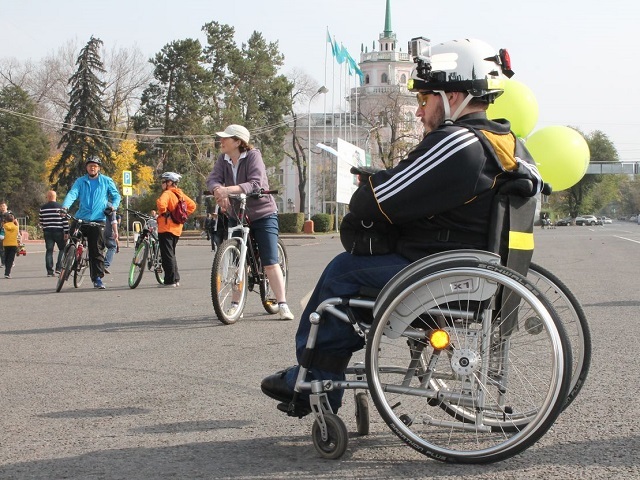 After beginning the school, it became clear that only a few citizens were aware of the safe and effective techniques for cycling in Almaty’s streets, or knew how to fix their own bikes. After the event, we received multiple suggestions to continue the initiative and host it on a regular basis—perhaps in different parts of the city. While there are aspirations to scale up the festival, our current focus is to open the streets for our citizens again and invite international guests to join us next year.